Car drivers are at fault for 75% of all car-truck accidents, according to a AAA study. Not staying in the correct lane, failing to yield, speeding and violating signs and signals are the biggest contributing factors to wrecks. It’s important to respect other drivers on the road, and that includes trucks — not just for their safety, but for yours. Here are 5 tips for sharing the road with truck drivers. It may be tempting to squeeze between a truck and the driver ahead, but if that space is too small, it’s probably best to wait. Why? Because if the traffic suddenly comes to a halt, you will find yourself in an emergency-braking situation. Trucks take longer to stop than cars. The typical passenger car traveling at 65 mph takes 316 feet to stop. A semi-truck going the same speed will travel 525 feet before stopping. Avoid tragedy by signaling your intent ahead of time and waiting until there is enough space to properly merge. Truck drivers sometimes need to swing wide to make a turn, especially in congested urban areas. In these instances, do not get between the truck and the curb. Trucks can’t see cars directly beside or behind them. If you are beside a truck making a difficult turn, it could prove disastrous. Keep this from happening by paying attention to a trucker’s turn signals and keeping an appropriate amount of distance between you and the truck. That way the truck driver has plenty of space to maneuver his or her vehicle. There are blind spots, also called no-zones, on every side of a truck, including the front, back and sides. These make it impossible for truck drivers to see you when you are in those blind spots. The thing to remember here is that if you can’t see the truck driver in the mirror, he can’t see you. Maintain a safe distance and never ride in a trucker’s blind spots. Reversing a large truck takes time and attention to ensure nothing gets hit. Be patient. If a trucker is attempting to back out, make sure to give them enough time and space to execute the turn correctly. Trying to pull around the truck to get to your destination faster may result in a fatal accident. Instead, wait the extra minute to guarantee the safety of you and the truck driver. The road is shared by many types of vehicles, including cars, trucks, motorcycles, buses and more. Make sure to respect other drivers on the road, so everyone can get to where they are going safely. Us truckers will greatly appreciate it. 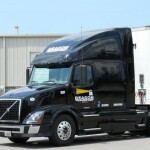 Interested in learning more about truck driving? 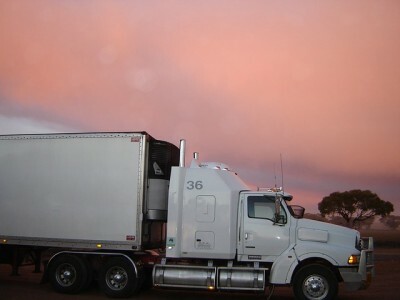 Click here to learn why trucking can be a great second career.